AvtoVAZ said sales in Russia fell 10 percent in the first half. MOSCOW -- New-car sales in Russia rose 15 percent in November, the ninth month of consecutive growth. Sales increased to 152,259 units, the Association of European Businesses (AEB) lobby group said in a statement on Friday. In the first 11 months, registrations are up 12 percent to 1.43 million. "With a 15 percent year-on-year improvement, the November sales result put another firm stake in the ground on the recovery path of the Russian car market," Joerg Schreiber, head of the AEB Automobile Manufacturers Committee, said in the statement. All major brands showed significant gains last month. Volkswagen and Ford sales both jumped 29 percent, while Nissan's volume gained 28 percent. Skoda increased 19 percent, while Renault sales were up 15 percent. 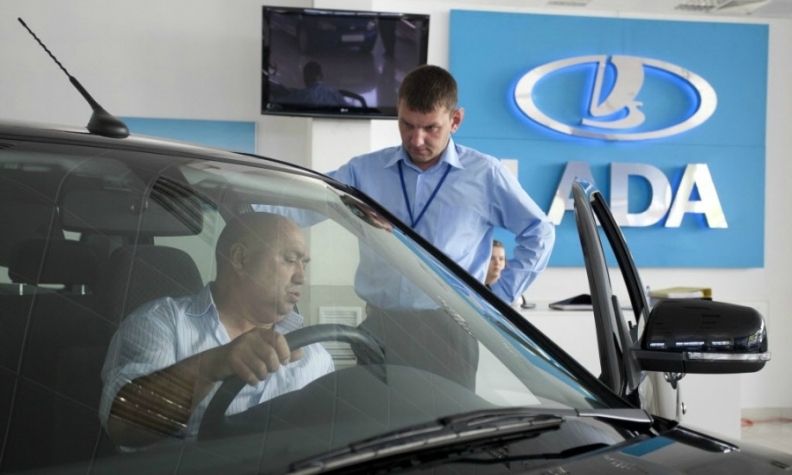 Market leader Lada saw sales grow 14 percent, while sales at Kia, the market's No. 2 seller, rose 10 percent. Hyundai, at No. 3, was the only major brand with lower volume demand after sales slipped 3 percent. Toyota's sales were up 6 percent. • Download PDF, above right, for November and 11-month Russia sales by brand, automaker and group. Russia is emerging from a four-year slump as its economy improves. Sales of new cars and light commercial vehicles are expected to increase to 1.58 million units this year, the AEB said in October.